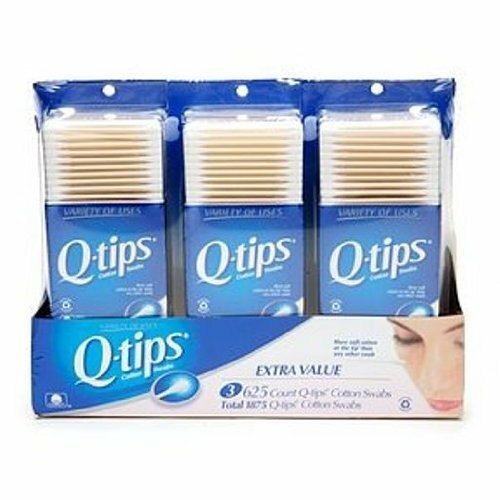 Amazon has Q-tips Cotton Swabs, Club Pack 625 ct, Pack of 3 for $10.99. This is 8% off from the regular price of $11.99. Free shipping with a $35 order or free 2-day shipping with Amazon Prime. Use Q-tips cotton swabs for all your beauty needs. Get every detail right, from your nails, to your lips, to your face. Perfect for touching up nail polish, lipstick & lip gloss, eye liner, and DIY projects like manicures. Q-tips are handy for arts & crafts projects. DIY with Q-tips, apply glue to models, build your own creations, or paint without brushes. Q-tips are great for adult lifehacks too, like DIY nail art, or getting zippers unstuck. Q-tips are delicate enough for sensitive jobs like baby & pet care. Clean around your newborn’s belly button, between your baby’s toes, or around your baby’s nose. Pets need gentle care too – don’t forget your cats & dogs! This entry was posted in Sale on December 31, 2015 by Crodeal. Walmart has Calgon Parisian Charm Gift Set, 7 pc for $4.94. Free shipping for orders over $50. This entry was posted in Sale on December 30, 2015 by Crodeal. Walmart has Old Wisconsin Holiday Sampler Gift Box, 1.2 lb for $5.00. Free shipping for orders over $50.